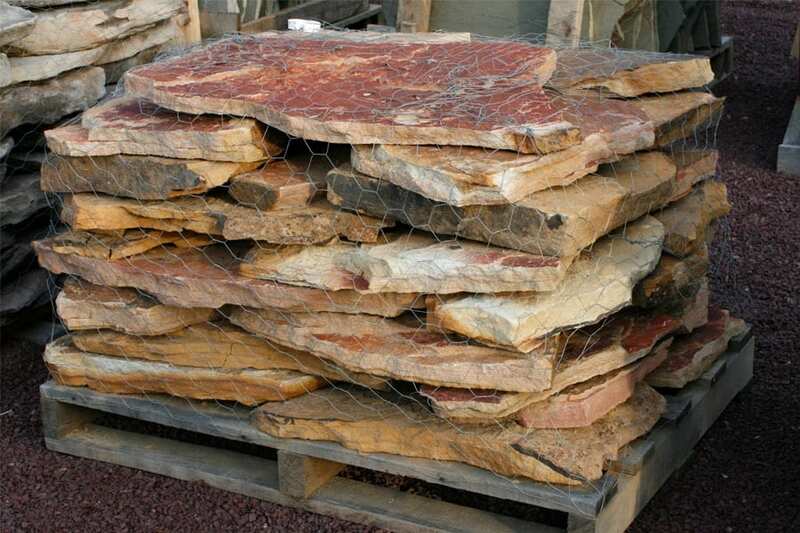 Strikingly colorful stone with surface colors that range from red to black and colors in between. 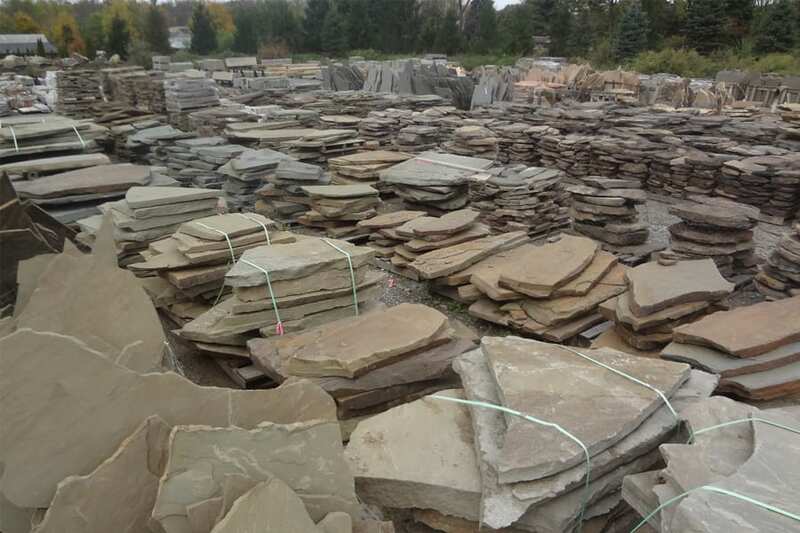 Part of a huge family of stone at Wicki Stone that includes steps, wall stone and more. The most consistent surface colors are tan to browns, but individual pieces can be red, black or other unique colors. Rainbow irregular is a strikingly colorful walkway and patio stone. The stone is frequently purchased for the beautiful interior colors that present themselves on the exposed edges of wall stone. But, Rainbow also has beautiful natural surface colors that present themselves on this irregular walkway and patio stone. 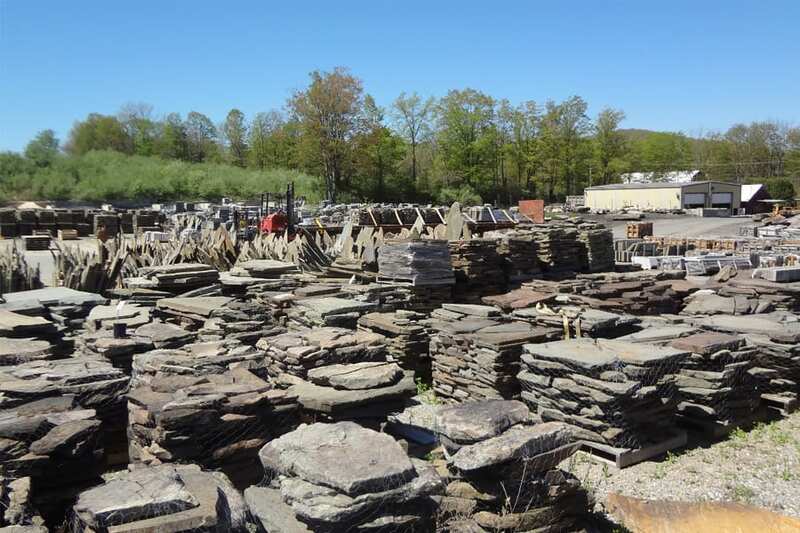 The base color is a light tan or brown but accent colors are widespread throughout the stone and some pieces can be rust, black, or brown. The smaller pieces of this horizontal pallet are easy to work with and fit together. Rainbow is a large family of stone at Wicki Stone and includes beautiful natural steps, and numerous wall stone variations. Wicki Stone carries these products that match or compliment Rainbow Irregular walkway and patio stone.